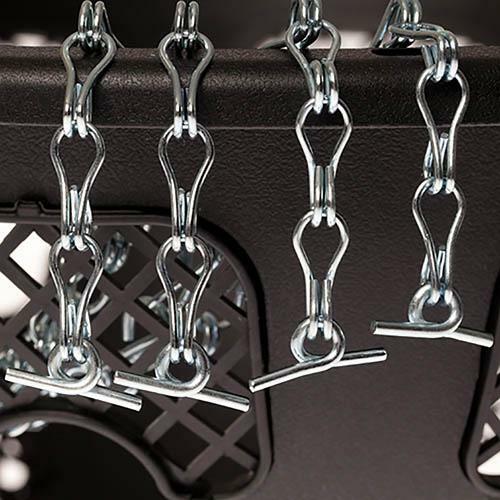 Made from strong galvanised steel, these chains fit our current Easy Fill 15' baskets. Supplied as a pack of 2 Easy Fill 4-point hanging chains, ready to use. Made from strong galvanised steel. Includes "T bar" connectors. Note: These chains fit our current Easy Fill 15" baskets. We cannot guarantee that they will fit baskets that were not bought from us this year.